Salesforce1 Lightning is the next generation of the App Cloud, delivering tools to make building apps and integrating external data lightning fast. 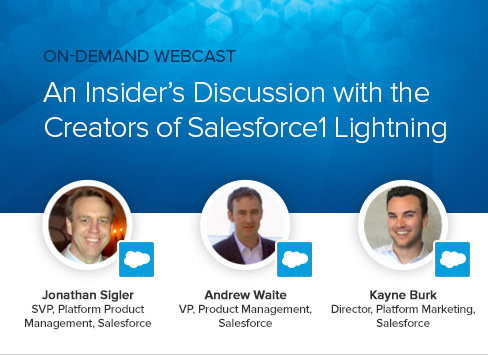 This webcast provides a rare opportunity to hear from the creators of Lightning, as well as the TAS Group, a partner now developing with Lightning. Watch now to learn how Lightning tools give IT and business analysts the power to solve business problems, faster.